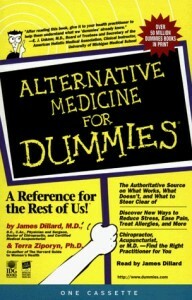 ALTERNATIVE MEDICINE FOR DUMMIES. Co-authored with James Dillard, MD. Foster City, CA: IDG Books, 1998. Audio Version. New York: Harper Audio, 1998. Winner of AMWA’s Beth Fonda Award for excellence in medical communication for a lay audience.